The master plan for the Highland District includes 750,000 SF of medical, residential, retail, academic, and administrative facilities that can be implemented over five phases. Following the principles of New Urbanism, the plan promotes increased building density. An open central quadrangle provides activity space for the residents of the Highland District and the university community. Following the initial development of the master plan, Swaim Associates coordinated their design efforts closely with AR7 Architects as the two firms simultaneously implemented the first two phases of the master plan which included Highland Commons, the Highland District Housing, and the central quadrangle. 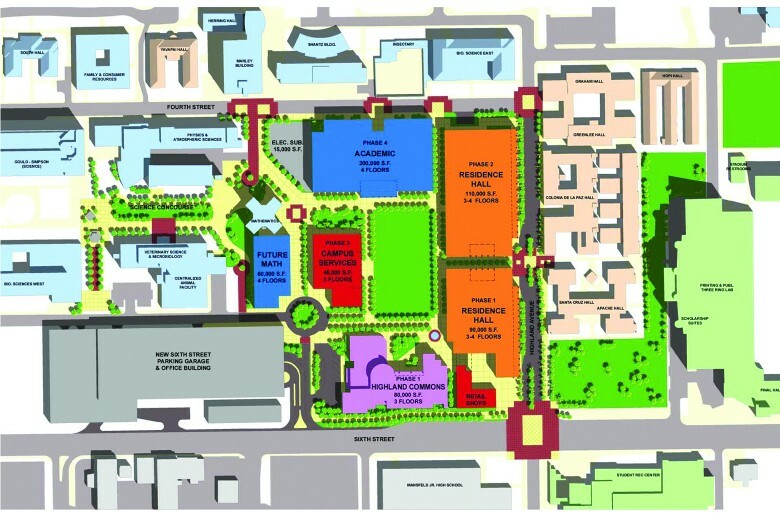 The result is a dynamic and cohesive campus district that is the physical manifestation of the master plan document, and supports the overall planning goals of the University.